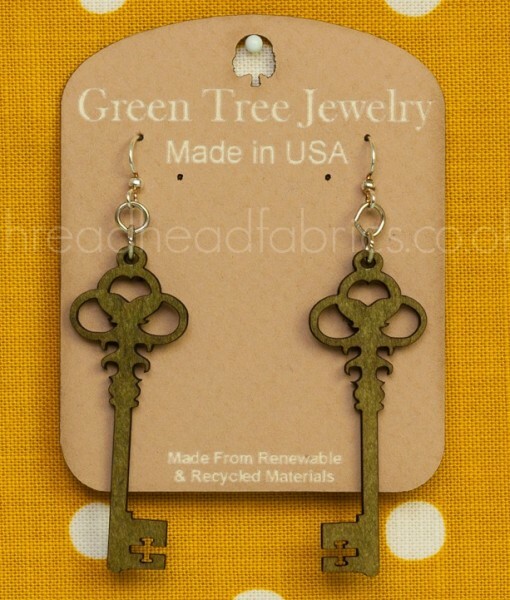 Made from recycled and renewable materials, these eco-friendly earrings are so perfect for those of you who love steam punk, goth or who like to indulge your own unique style! Lightly stained with earth-loving water-based dyes and with nickel free surgical steel posts for those with sensitive ears, these earrings are beautiful and so very cool! A Thread Head Fabrics exclusive in the UK! For those of you of a particular age, you might just think of Janet Jackson when you see these very cool earrings! 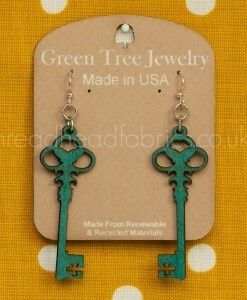 We are loving these skeleton key earrings! 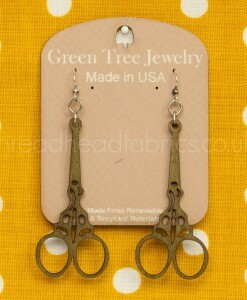 We get so many compliments on these Green Tree Jewelry Earrings that we couldn’t just keep them to ourselves! 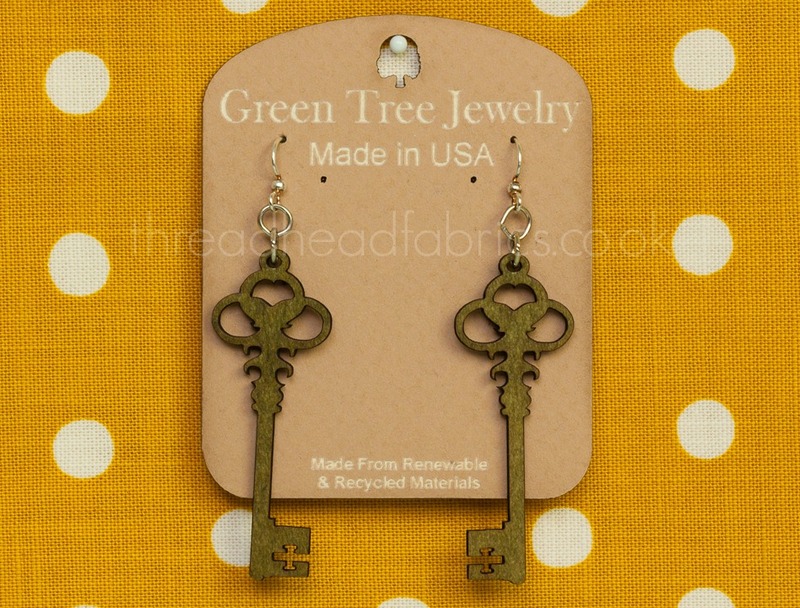 Made in San Diego, California in the US by a family-run, green-minded company, these skeleton key earrings are approximately 5.3cm (2.1in) long by 2cm (0.8in) wide. They make a statement, but these earrings are so incredibly lightweight you’ll forget you’re wearing them …. until you get the inevitable compliments on them! 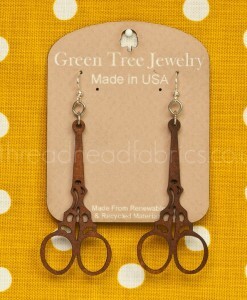 These beautiful earrings are laser cut from very strong, but thin wood. That means yay! No pulling on your earlobes! Nickel-free surgical steel posts are just right for those with sensitive ears. 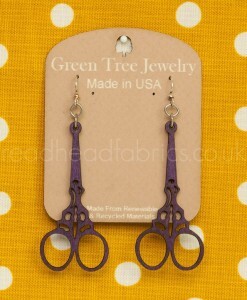 The earrings are stained with a water-based dye, not painted, so the colours are muted, subtle and natural looking. The apple green is particularly soft toned. Exclusive to Thread Head Fabrics in the UK, these will make the perfect gift for those into steam punk, goth or just plain old cool things – perhaps that means a gift to yourself!